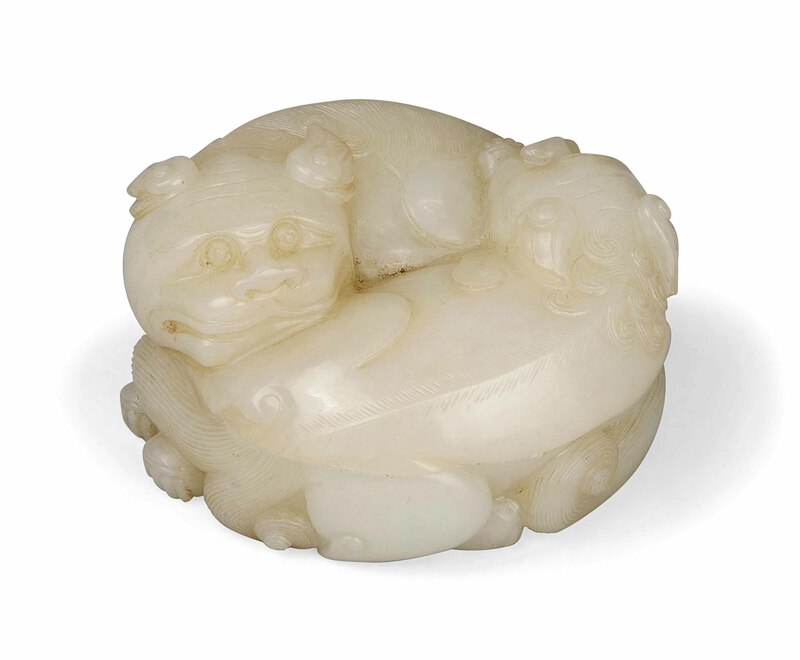 The lions are carved, one resting on top of the other, both animals are finely detailed with combed burly manes, long full tails flicked around the haunches, and fierce expressions. The stone is of a mottled creamy tone with lighter and darker inclusions. 3.1/2 in. (8.9 cm.) diam.